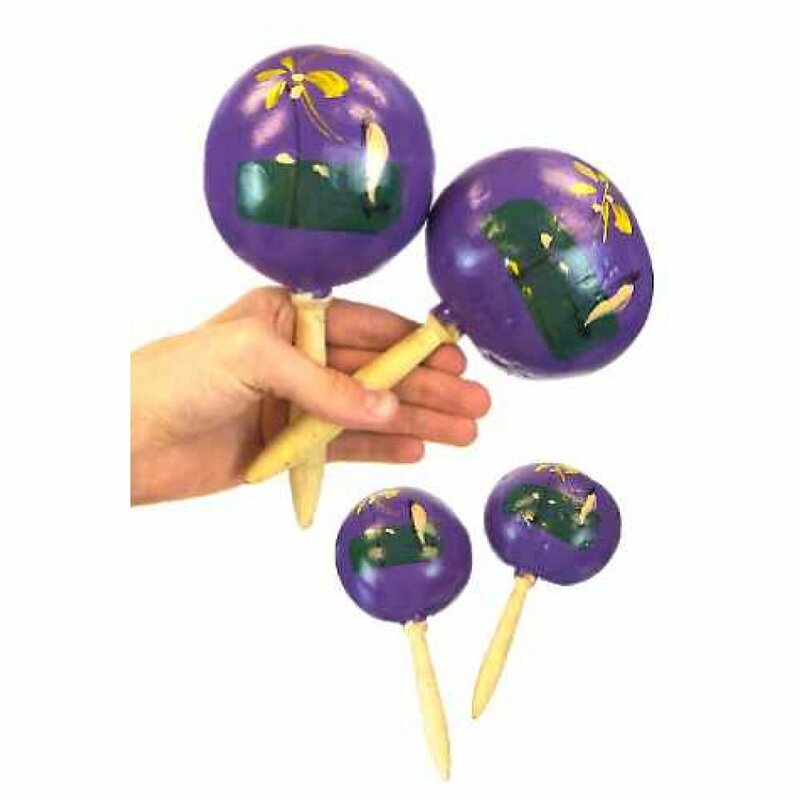 Everyone can play music with our genuine Mexican Maracas. 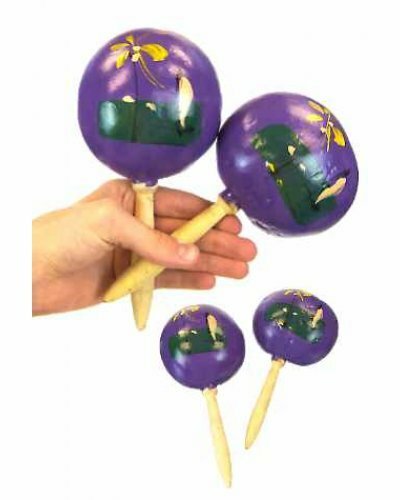 You get a pair of purple hand painted wooden Maracas made with wood, real gourds and dry beans. 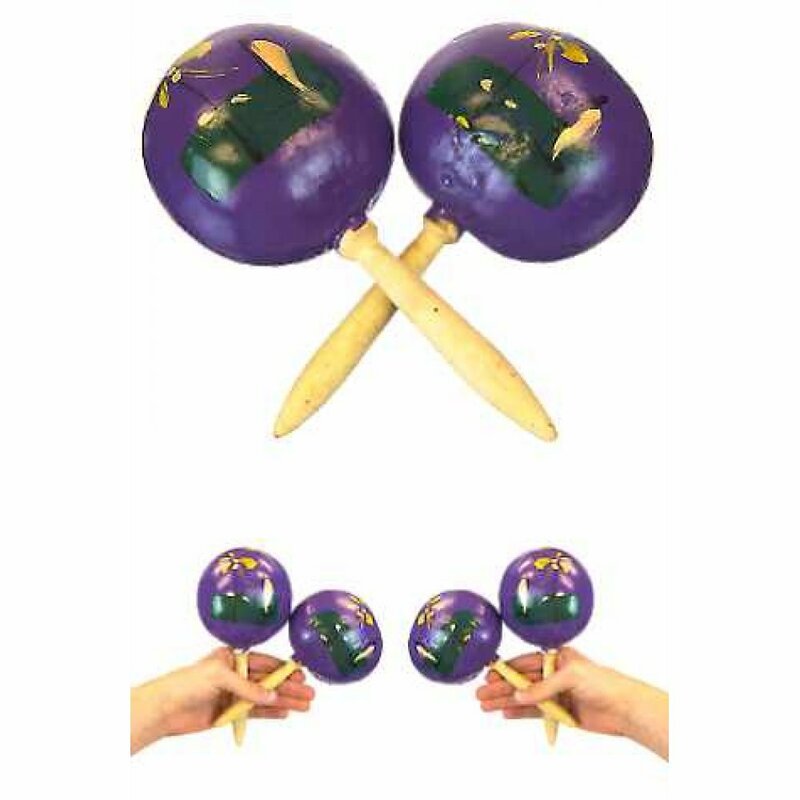 Maracas are a traditional Latin American musical instrument invented by Colombian natives over 1500 years ago. 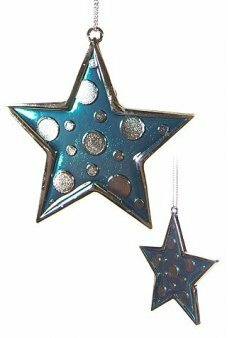 Dream about a Tropical Vacation or just play with the band. 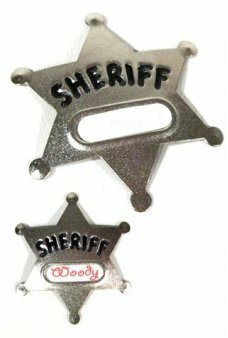 What a fun gift for your beach theme party!